Facebook has announced at an event in NYC that it is rolling out the ability for ‘tens of millions’ of its users to gift someone right from their profile page as of tonight. You can sort by category and recommend gifts for specific people. The company is adding a gift button to every user’s profile allowing for easier gifting straight to an individual as well. People will be able to refuse gifts, but the shipping is paid by the gifter. The Gift button will be available on mobile and desktop. 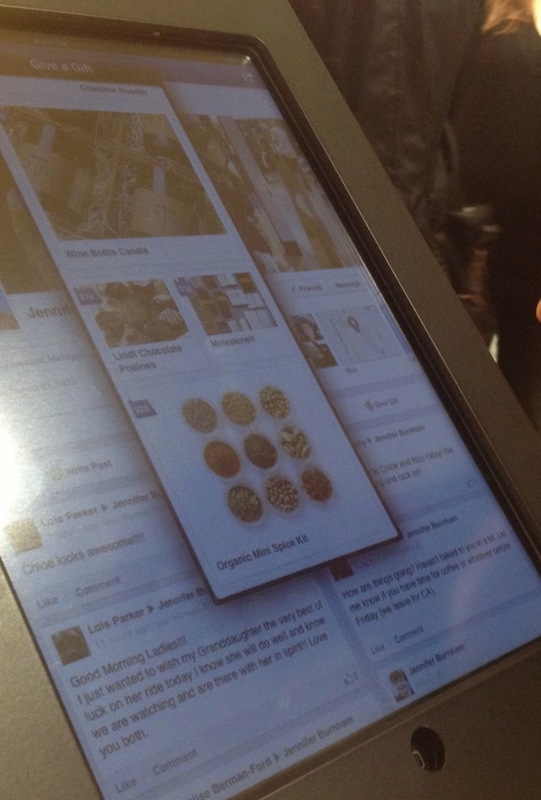 A pop-up menu on the iPad app, for instance, will present a scrollable list of gifts. 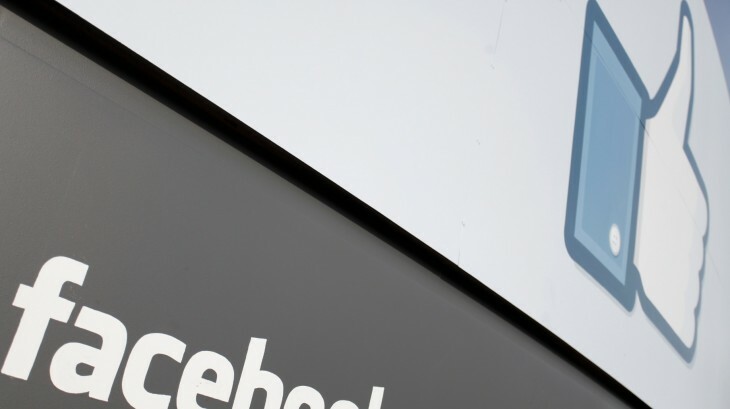 Facebook is partnering with companies in this gifting effort including online deals company Fab, L’Occitane, Lindt, Dean & Deluca, Hulu Plus, Rdio, Pandora, Baby Gap, Brookstone and more. Over 100 partners and many hundreds of products are part of this launch. Recommendations for gifts to send are not based on a person’s likes for now, but instead on what people give others who are in the same demographic group as the person you’re looking to gift. Facebook is, however, experimenting with likes as a metric. You can pick a card to send with the gift, which are customizable based on holidays, weddings and more. You can choose to pay right up front for gifts that you send, or to wait until a friend accepts a gift to pay for it. Gifts can also be set to private if you wish. You can also let the person you’re sending a gift to customize portions of it. If you send someone chocolate, they can pick which kind, for instance. Good news for you lushes, Facebook will soon be offering wine as a part of Gifts, featuring Mondavi and Chandon. 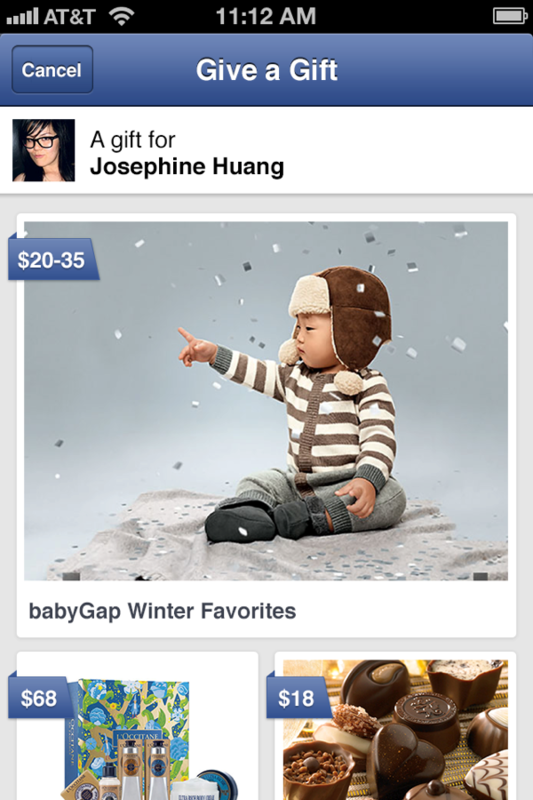 Facebook recently updated its iOS app with the ability to send Gifts right from mobile. It also started testing the ability to give charitable contributions on behalf of friends. 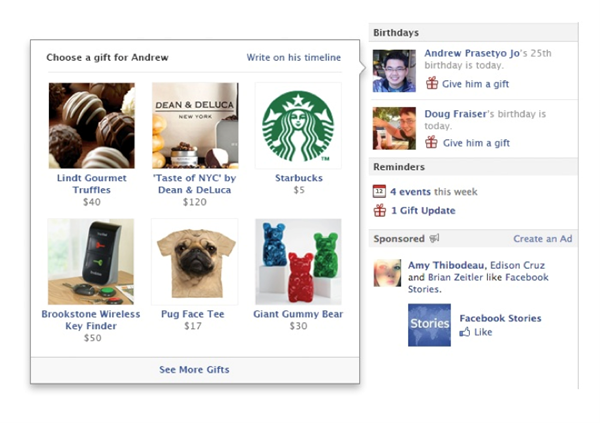 Facebook gifts was re-launched in September, when our own Harrison Weber called it a transformative move. Harrison Weber provided additional reporting on this story.